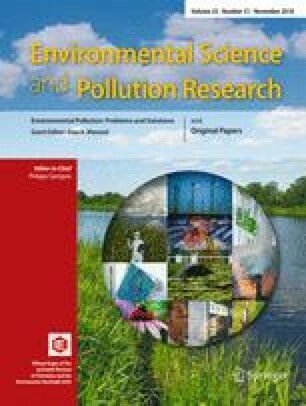 This special issue of Environmental Science and Pollution Research highlights selected papers presented at the 3rd International Environmental Forum held on 12–14 July 2016 in Tanta University, Egypt (TUEF2016), focused on Environmental Pollution: Problem and Solution. The forum brought together thought-leaders, researchers, scientists, engineers, academia, industry, investors, technology developers, planners, and policymakers met and presented their research results and findings in a compelling manner on novel technologies and applications for mitigating the most pressing 16 environmental problems listed below. The biennial Tanta University Environmental Forum-TUEF is among the most advanced technology and policy research level on environmental pollution in the world. More than 150 experts and scholars from 25 countries and regions worldwide attended this forum. More than 182 research articles and 26 posters have been discussed to address novel solution for the current problems. Participants explored the most suitable and efficient ways to design, finance, and build better and more sustainable resources with a common vision to identify threats, risks, and key opportunities to drive future investments to conserve the environment from pollution. The ideas diversity and creativity along with the new insights shared in TUEF2016 were difficult to be covered in this special issue and I, as editor, hope that this issue may prompt scientists from the diverse Environmental Pollution fields to participate in TUEF2019 conference and its workshops to come: the collected papers show and justify the strong position of the technique adopted in studies on environmental pollution. All the selected papers were subjected to rigorous peer-review process as regular submissions to Environmental Science and Pollution Research according to the Specifications on the journal website: www.springer.com/environment/journal/11356. After rigorous peer-review process, 20 papers were accepted for publication in the Special Issue: TUEF2016-Environmental Pollution: Problems and Solution.